London, UK (BBN)-Officials in Pakistan’s MQM party have told the UK authorities they received Indian government funds, the BBC learnt from an authoritative Pakistani source. UK authorities investigating the MQM for alleged money laundering also found a list of weapons in an MQM property, reports BBC. 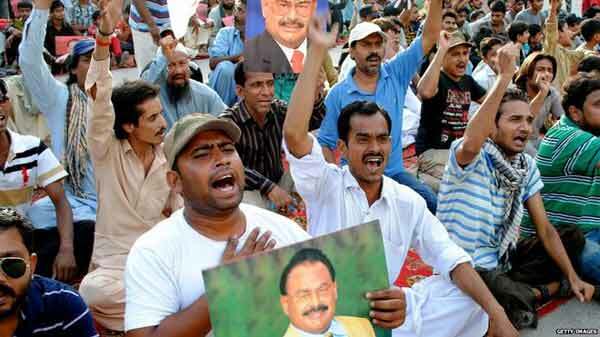 A Pakistani official has told the BBC that India has trained hundreds of MQM militants over the past 10 years. The Indian authorities described the claims as “completely baseless”. The MQM also strongly denied the claims. Party spokesman Saif Muhammad Ali told BBC Urdu that the MQM had never received any funding or training from India. He said authorities in Pakistan were running a campaign against the party. With 24 members in the National Assembly, the Muttahida Quami Movement (MQM) has long been a dominant force in the politics of Pakistan’s largest city, Karachi. Meanwhile a Pakistani official has told the BBC that India has trained hundreds of MQM militants in explosives, weapons and sabotage over the past 10 years in camps in north and north-east India. More recently, greater numbers of more junior party members have been trained. The claims follow the statement of a senior Karachi police officer that two arrested MQM militants said they had been trained in India. In April, Rao Anwar gave details of how the two men went to India via Thailand to be trained by the Indian intelligence agency RAW. In response, MQM leader Altaf Hussain issued a tirade of abuse at Rao Anwar. The UK authorities started investigating the MQM in 2010 when a senior party leader, Imran Farooq, was stabbed to death outside his home in north London. In the course of those inquiries the police found around £500,000 ($787,350) in the MQM’s London offices and in the home of MQM leader Altaf Hussain. That prompted a second investigation into possible money laundering. Formed MQM party in 1984 to represent Mohajirs – descendants of Urdu-speaking Muslims who migrated from India to Pakistan. As the UK police investigations have progressed, the British judiciary has been taking an increasingly tough line on the MQM. Back in 2011 a British judge adjudicating an asylum appeal case found that “the MQM has killed over 200 police officers who have stood up against them in Karachi”. The MQM is also under pressure in Pakistan. In March the country’s security forces raided the party’s Karachi headquarters. They claimed to have found a significant number of weapons there. The MQM said they were planted. The party has a solid support base made up of the Mohajirs, or refugees who left India at the time of partition so that they could settle in Pakistan. The Mohajirs complain that they have been the subject of sustained discrimination in Pakistan. The MQM insists it is a peaceful, secular party representing the interests of the middle classes in Pakistan. As well as its electoral base, the MQM has formidable street power. When it orders a strike the streets empty and the whole of Karachi grinds to a halt. Altaf Husain has lived in self-imposed exile in the UK for more than 20 years. He was given a British passport in 2002. For many years the party has been accused of using violence to impose its will in Karachi. A number of MQM officials, including Altaf Hussain, have been arrested in relation to the money-laundering case but no-one has been charged. The party insists that all its funds are legitimate and that most of them come from donors in the business community in Karachi. 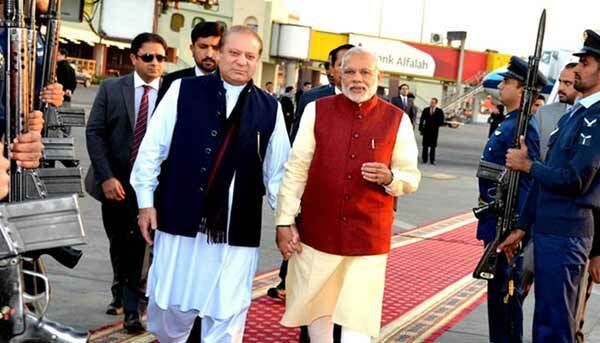 India has long accused Pakistani officials of involvement in sponsoring militant attacks in India. Delhi, for example, has demanded that Pakistan take firmer action against those suspected of plotting and managing the Mumbai attacks of 2008. The latest developments in the MQM case suggest that Pakistan will now counter such complaints with demands that India stop sponsoring violent forces in Karachi.